Magnificent West Side Danville Home w/Amazing Breathtaking Views of Mt. Diablo. This Beautiful Custom Estate features 4 bedroom, 3.5 baths, + Office, Movie Theatre Room/optional 5th bedroom. 800 bottle climatized Wine Cellar Tasting Room. Located in the Majestic Hills of Las Trampas on 1.25 Acres located just minutes to Downtown. An entertainer's dream home that is highly upgraded & remodeled. Outdoor living w/lush landscape, spacious decks overlooking the backyard & the views. You will love the outdoor fireplace seating, Koi pond, & the lower decking surrounding the refinished pebble tech pool & spa. 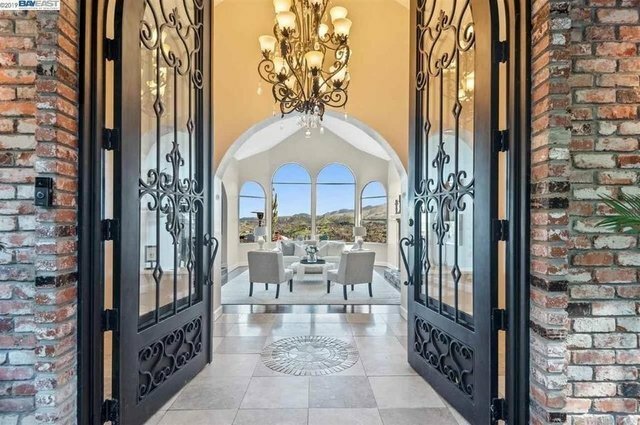 A private oasis with spectacular views throughout the entire property. The Movie Theatre Room could also be a 5th bedroom or Au Pair Suite as it has its very own entrance & located next to a full bath. Enjoy the Chef Inspired Kitchen w/High Ceilings & the Expansive Master Suite with Remodeled Bathroom with separate shower & oversized jetted tub looking out views of Mt Diablo.